Exploring the world with your partner or spouse is one of the most memorable and thrilling activities you can do with someone you love. There will be highs and lows, exciting moments and challenges, and times of wonder and awe. By the end of your trip, your bond will be even tighter because you’ll experience so many “firsts” together. The thing that holds many people back from committing to full-time travel is money. There just never seems to be enough. But if that were everyone’s attitude, then owning property would be a pipe dream. If you want to be a homeowner, you can’t think things like, “I’m never going to buy a house because I don’t have enough for a down payment.” You have to switch to a money-saving mindset and commit to meeting your goal. Create wonderful memories traveling the world! 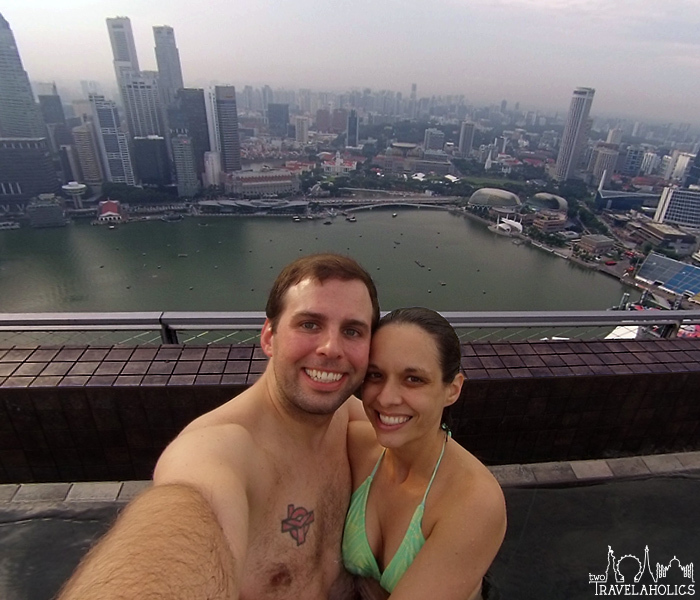 Here we’re in the infinity pool at the top of the Marina Bay Sands hotel in Singapore. The same is true if you want to save enough money to travel the world. You can do it. The path to getting there will require lifestyle sacrifices and won’t be easy, but it’ll be worth it. Note: we met people who started off with very little money and worked in hostels and restaurants as they traveled, but it’s not ideal. You’ll find yourself saying “no” to certain experiences that come with even a modest price tag. 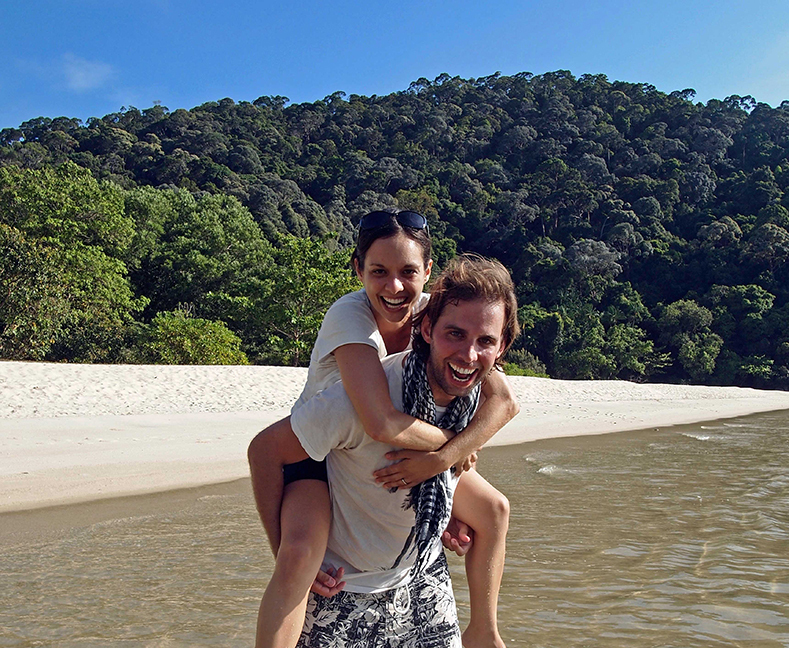 For all that you’re sacrificing to travel the world, it’s not worth skimping out now. 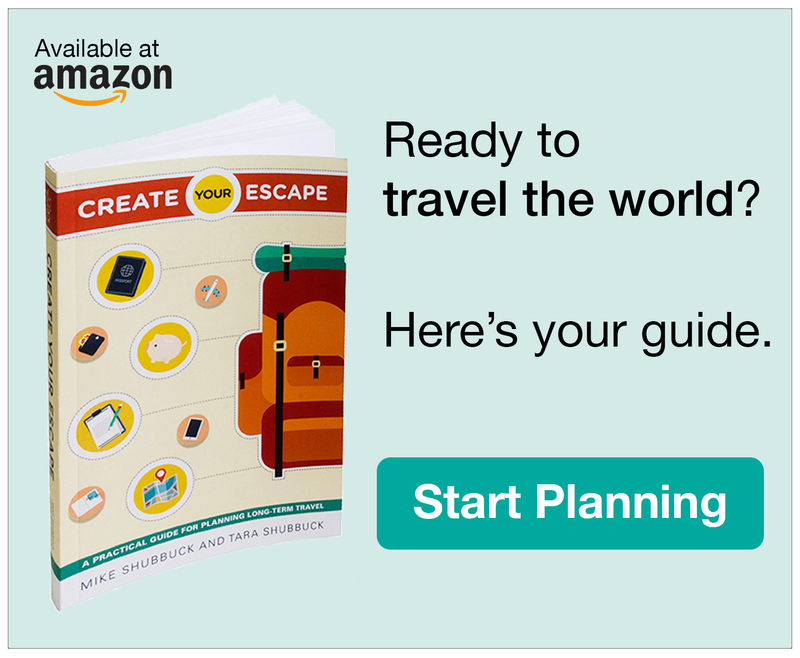 In our book, Create Your Escape: A Practical Guide for Planning Long-Term Travel, an entire chapter is dedicated to helping you save enough money to travel the world without needing to work on the road. A FREE shortened excerpt of 15 money-saving tips from that chapter is below. The caveat is that it goes hand-in-hand with the chapter on budgeting (determining how much you need to save). 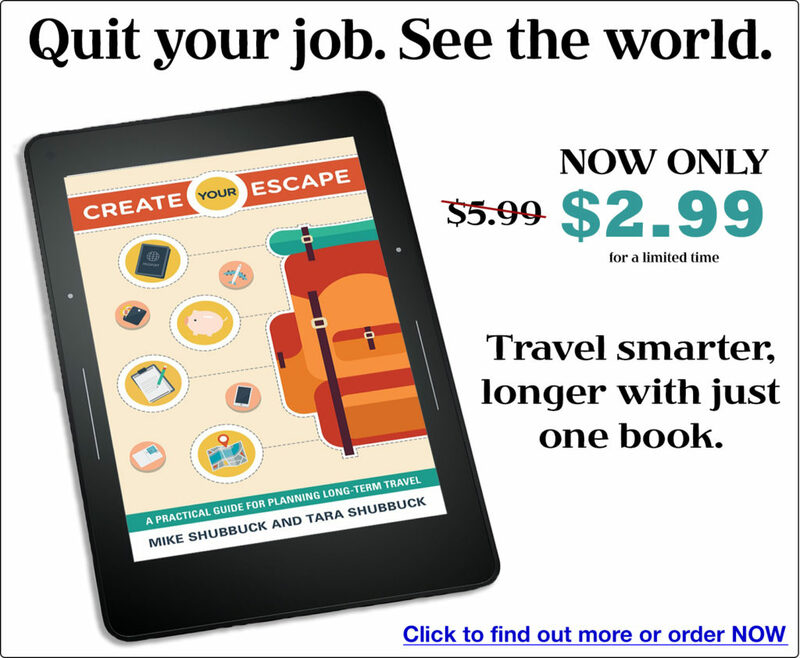 If you take away any tips from the following excerpt, be sure to buy the entire ebook or hard copy (links at the end of this post) so you can read through the other 60+ money-saving tips, the chapter on budgeting for your trip, and receive access to free downloadable worksheets. Just because you’re reducing your spending doesn’t mean that new experiences and tangible goods are off limits to you. If you know where to look, you can find plenty of free products and activities around town. • Use the Internet and public computers. • Read newspapers and magazines. • Borrow books, e-books, CDs, and DVDs. • Some libraries offer a service that allows members to download a few digital music files each week for free. Take advantage of free museum entrance days. Once you’re inside, join tours, group discussions, and other free activities and events they have on offer. • Read your neighborhood paper. • Pick up an events calendar at the local library, city hall, or from the corkboard at a coffee shop. • See if local performing arts theaters have free-admission performances or pay-what-you-can nights. • Find open lectures or guest speakers at nearby colleges and universities. Check out what your town’s park and recreation board has to offer. You may discover free admittance to parks, trails, and rivers or canals, and free use of baseball fields, exercise parks, and basketball or tennis courts. Pick up trial passes at gyms around town. Most gyms hand out day or weeklong trial passes to bring in new customers. No commitment is required, and you have free use of the facility for the duration of the pass. Don’t forget to have a little fun with this money-saving adventure that you’re on. Use these ideas as a starting point to think of other creative ways to challenge yourself while saving money. • Cut out meat or go vegan. You’ll save a lot of money by not purchasing meat, eggs, and other dairy products. Your health will thank you too! • Make it yourself. Instead of buying pasta, consider making it at home from durum wheat and water. Homemade polenta is easy, too. All you need is cornmeal, water, butter, and salt. Try your hand at baking bread with flour, yeast, salt, and water. • Skip juices and sodas. • Cut out drinking alcohol. • Walk or bike to work instead of driving or taking public transport. • Choose one day each week when you are not allowed to spend any money at all. Start with No-Spend Saturdays, and then expand to No-Money Mondays. Spend more time in the kitchen and less time at restaurants and fast-food eateries. You’ll save a lot of money by making home-cooked meals more frequently. Double the recipe so you have leftovers for the next day’s lunch or dinner. Make homemade vegetable broth by saving the trimmings from your produce (like the tops of carrots, mushroom gills, tips of celery, and herb stalks). Each time you would normally throw away a piece of produce, put it in a bag that you store in your freezer. When the bag fills up, dump it into a pot, add some water, and simmer for 45 minutes. Then drain the broth into glass jars and store them in your fridge. Eat breakfast at home and bring lunch to work instead of purchasing it at a quick-service restaurant. Set aside a couple hours on the weekend to make extra-large portions that will feed you through the week. Think stews, stir-fries, curries, pasta bakes, casseroles, and slow cooker meals. Freeze what you don’t think you’ll eat that week and store the rest in multiple containers that you can easily pack for work or reheat for dinner. Plan these large dishes based on what’s on sale in the Sunday circular, not based on a particular recipe, as ingredients from a cookbook may be expensive or not on sale. 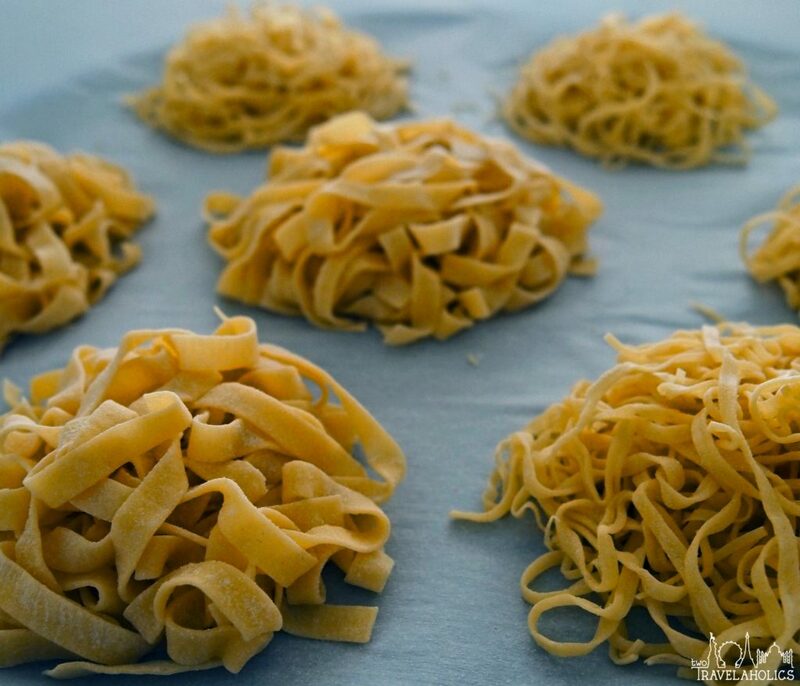 Drying homemade pasta. Ingredients to make your own pasta are really cheap, and the end product comes out more delicious than pre-made brands. Small lifestyle changes like this can help you save money. Don’t turn your nose up at coupons and discounts. Promotional codes for online purchases and even 50¢ coupons at the grocery store add up. Embrace these options for keeping more money in your pocket when you buy things you need. If you don’t have a coupon or discount code for something you want, can you wait for it to go on sale? As long as you don’t need something immediately, try to wait until it goes on sale or until you do find a coupon for it. Want to buy shoes for your trip? Before you get them at a brick and mortar store, check online first. There are websites dedicated to coupons and promotional codes that could save you even more money than an in-store sale. Be a smart online shopper by using price comparison websites like pricegrabber.com to find out which website is offering the product you want for the lowest price. Look for first-time user discounts or rewards programs. Just by signing up, some websites might give you anywhere from $5 to $25 off your first purchase (who knows, maybe even more if you’re lucky). This is free money! Since you’ll be submitting an email address to sign up for these offers, create a separate email account for instances like this so you don’t have to unsubscribe from dozens of email blasts on your main personal account. Visit a professional in training. If you want a deep discount, go to a cosmetology school to get a haircut and a dental school’s clinic for reduced-cost fillings or procedures that may not be covered or covered fully by your insurance. Why do I need to freeze my credit before leaving? How do you pack for long-term travel? When and how should I start to tell family, friends, and coworkers about my trip? 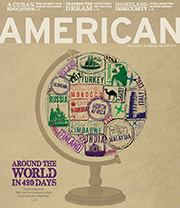 You can review the table of contents here. The book is available as a paperback and as an ebook on Barnes & Noble, Amazon, Apple, Smashwords, and Kobo.